Who wants to have some fun, and get a chance to win one of 2 - $10 Pirate101 gift cards? Come out for my mega game of "Marco Pollo" on Thursday, May 23, 2013 at 3:00pm EST. 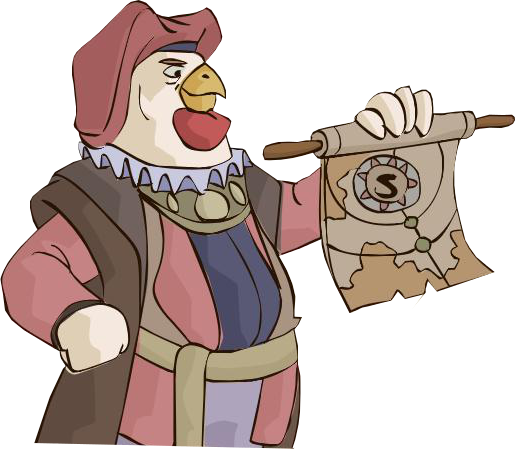 Be the first to spot me or Edward Cringle yell out "Marco" and hear us say "Pollo" in return to win! We'll be somewhere in the world of Skull Island, in separate places. It could be the skyways or on land. Here's the catch though: We will not be standing in one spot. We're going to be roaming from place to place. So set sail and be on the look out for us. See the full details and rules below. Be the first to spot Autumn Walker or Edward Cringle and say "Marco"
Wait for the reply "Pollo" and one of us will add you to send the code. If you have us added to your friends list, please note that we will not be appearing as being online during the contest/event. If you win one code, please give others a chance to win the second code! Please be respectful to other players. No bad language or bullying. I hope to see you at the event! You can watch for updates on my Twitter page. Good luck! Awesome! Sounds fun! Are you going to post a pic of your char so we know what gear you have on?